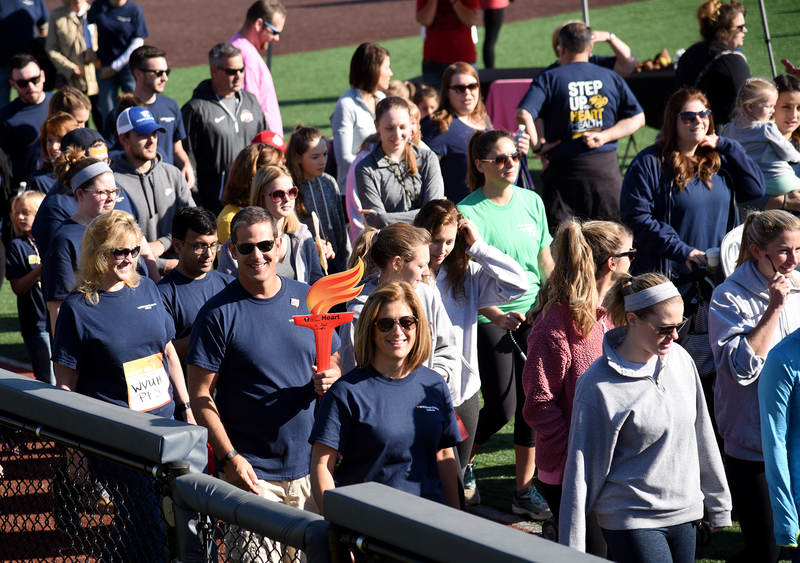 WVU Medicine employees are invited to rally for the American Heart Association’s upcoming Greater Morgantown Heart Walk, March 27, from noon-1 p.m. in the Bruce McClymonds Conference Center (Room A). George Sokos, DO, is this year’s Heart Walk chair; the WVU Heart and Vascular Institute is a sponsor of the event, which is taking place Saturday, May 4, from 8:30-11:30 a.m. at the WVU Coliseum. All attendees will have the opportunity to win prizes and receive giveaways. Registering for the walk ahead of time gives participants a chance to be entered in an additional drawing. Employees can also register at WVU Medicine's Heart Walk web page. WVU Medicine is still looking for individuals to contribute as Heart Walk coaches. Coaches lead a team of co-workers and friends to spread the word and raise money for life-saving research. Additional information is available from AHA staff partner Ryan Jerico at ryan.jerico@heart.org.